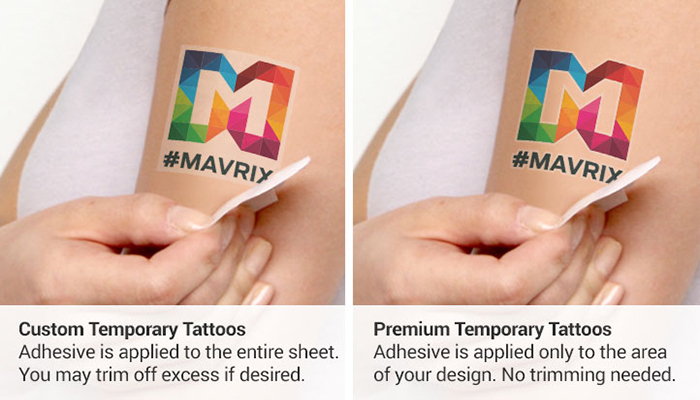 StickerYou always has your back when it comes to marketing solutions for your business but we’ve just added a total game-changer to the art of promotional swag... specialty temporary tattoos! 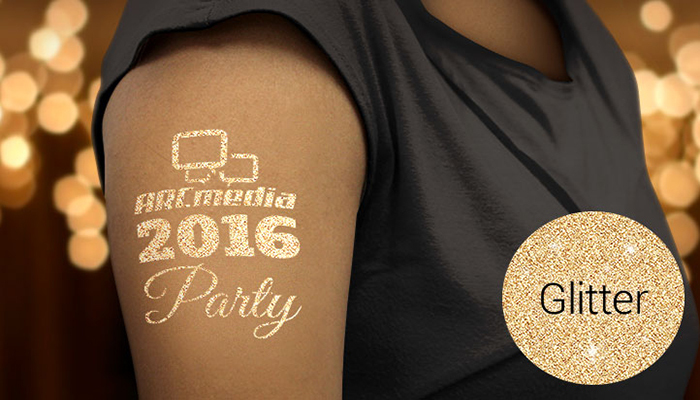 If you need to promote an event, or even just promote your brand altogether, step up your marketing with our brand new metallic, glitter, glow-in-the-dark, and premium specialty temporary tattoos! Anybody who says, “All that glitters is not gold” has obviously never tried on a glitter temporary tattoo. Who doesn’t love glitter? Custom glitter temporary tattoos are great promotional tools for all ages… kids, teens, adults, seniors, whoever! Deck out the attendees at your school’s homecoming, formal or frosh week, or add some glamour to your company’s annual awards ceremony or gala. Are you a DJ spinning at a nightclub on New Years Eve? Maybe you’re throwing a corporate party at the local bar? Whatever the occasion, glow-in-the-dark temporary tattoos are the perfect marketing solution for events that are held at night or in dimly-lit venues. 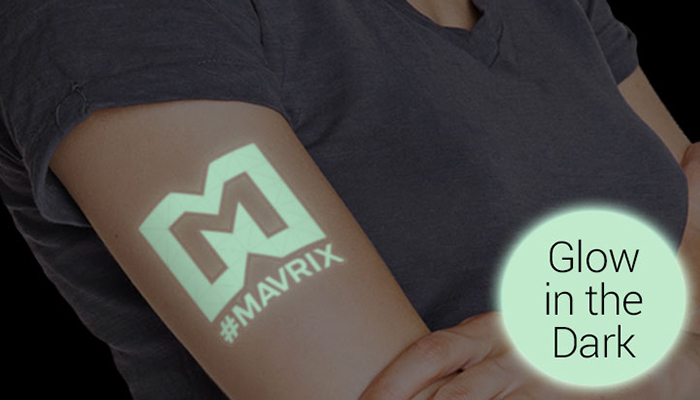 Our glow-in-the-dark tattoos are printed with a special phosphorescent white ink that gives off a cool glowing effect. Tip: To make sure your temporary tattoo really pops, use a design or logo with lots of white. 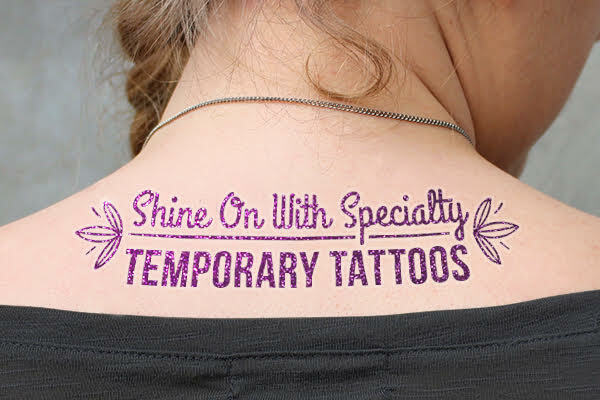 Premium tattoos are the highest-quality and convenient option for custom temporary tattoos. There is no need to cut close to your design individually because the adhesive finish is applied only to the area of your design. 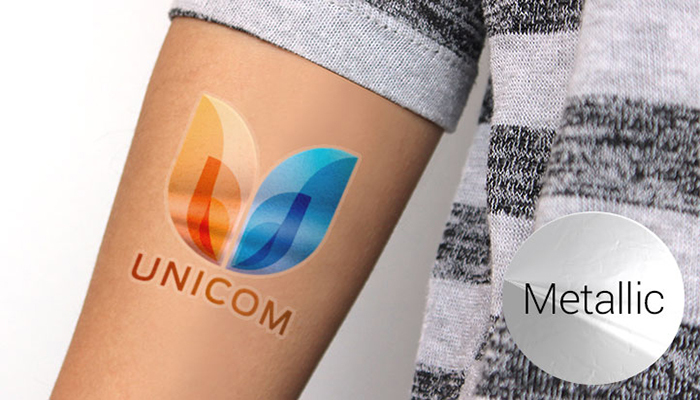 Here’s an idea: Premium tattoos are great to give as freebie promotional swag handouts for your new product or business launch. StickerYou's specialty temporary tattoos are waterproof, easy to apply, non-toxic, and will last up to 2-3 days with no scrubbing, but if you need to remove them, they will come off with gentle scrubbing or baby oil. The minimum order quantity for specialty temporary tattoos is 1000 so they’re perfect for business owners and large events. If you like what you see but would prefer no minimum order quantities or if you want a more basic finish, try out our classic custom temporary tattoos. Getting a custom quote for your temporary tattoos is easy! Just fill out the custom quote form here and tell us some of your order details like size, quantity, if you want handouts or sheets, or any other special requests. A customer service representative will get back to you as soon as possible so you can get your brand new temporary tattoos right in time for your event. Check us out on Facebook, Twitter, Instagram, Pinterest, Google+, and YouTube for even more marketing and business solutions.